Not known for public space, Phoenix, Arizona is often cited as an example of American suburban sprawl. 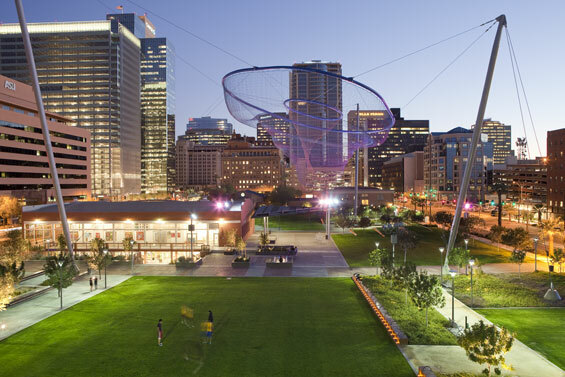 But a new story of successful urbanism has emerged from this desert cityscape with the opening of Civic Space Park. 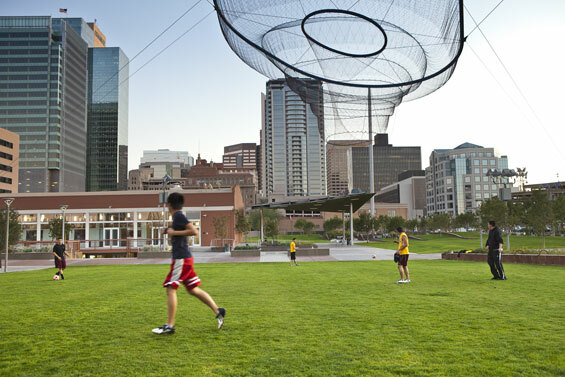 This public space sits on a 2.7-acre site in downtown Phoenix, offering residents, workers, students, and visitors a new kind of urban typology, bringing together smart urban design, green space, multiple shade structures, an interactive LED lighting show, public art—and a lesson in low carbon design. 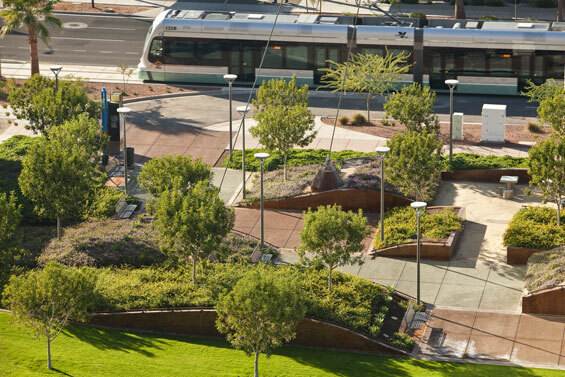 AECOM’s Phoenix-based Design + Planning studio guided the project from visioning sessions and masterplanning of the park, through complete construction observation. 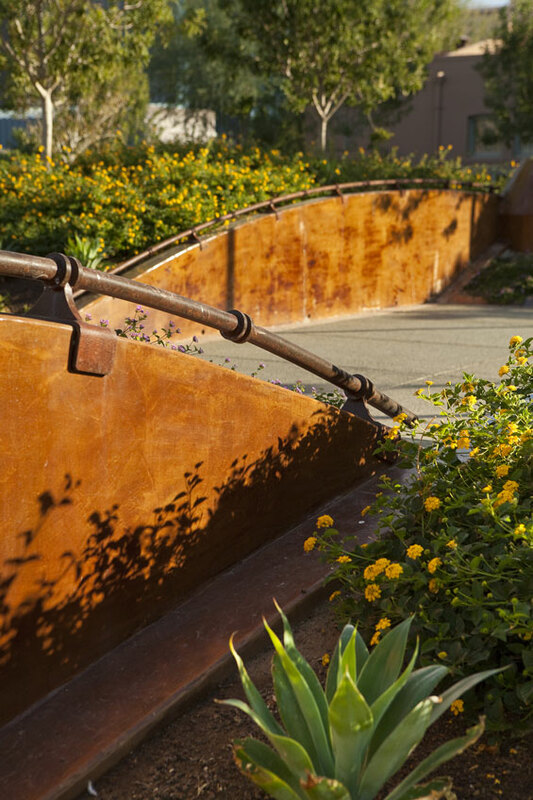 Work included extensive public meetings with the community to create a park that accommodates a variety of users and events, alongside a major public art commission, and various interactive water features and lighting elements. 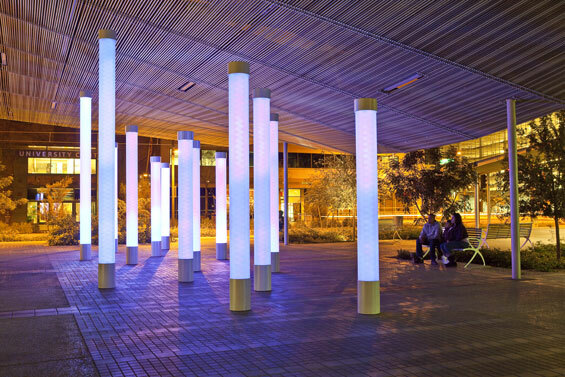 One of the park’s most exciting features is a field of white columns beneath an undulating canopy that come alive at night with light and color from an array of LED animations. 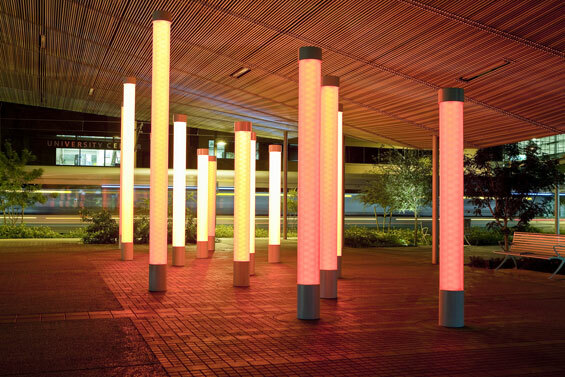 Inspired by lightning touching down in an Arizona summer monsoon storm, the lighting show responds to the movements of visitors. An interactive water feature is another favorite activity in the park, especially for children. The design of the park is low-carbon. Porous concrete paving and landscape design provide for stormwater collection and filtration, allowing every drop of water that lands on this site to recharge surrounding groundwater. Solar panels on the top of the park’s shade structures generate 75 kilowatts of power, enough to power 8-9 residential homes and offset the park’s lighting and electrical needs. When its trees and vegetation reach maturity, more than seventy percent of the park will be shaded from the desert sun. Most of these trees are deciduous in order to take advantage of the Arizona sunshine and mild climate in the winter months. 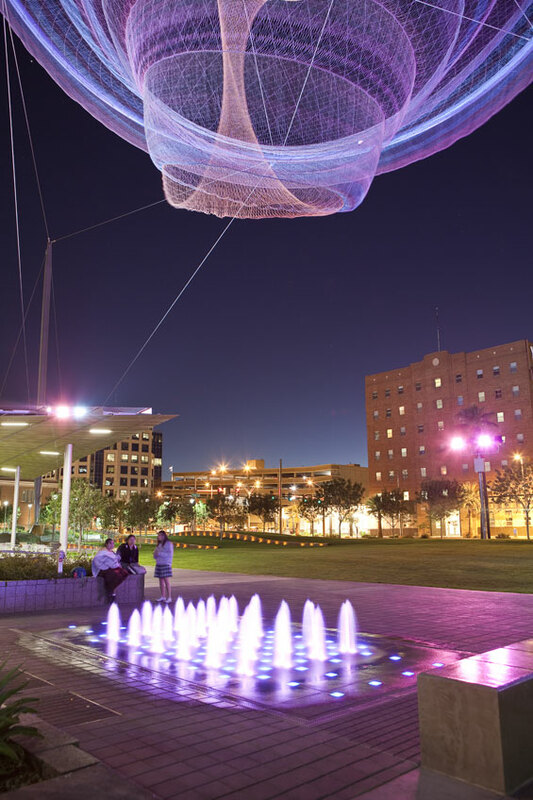 The park also includes an art installation from internationally recognized artist Janet Echelman titled, “Her Secret is Patience,” named after a phrase by Ralph Waldo Emerson and inspired by elements of Arizona nature. 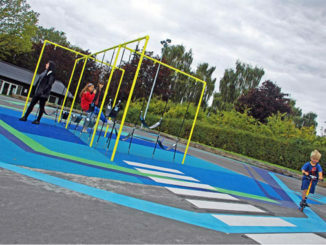 Contextually, the park plays an important role in the surrounding urban systems. The adjacent, historic 424 Central Building has been refurbished as a public meeting and exhibition space that will draw events and people to the area, with a sunken café and retail space on a lower patio that afford active frontages with the open space, acting as a magnet for activity. 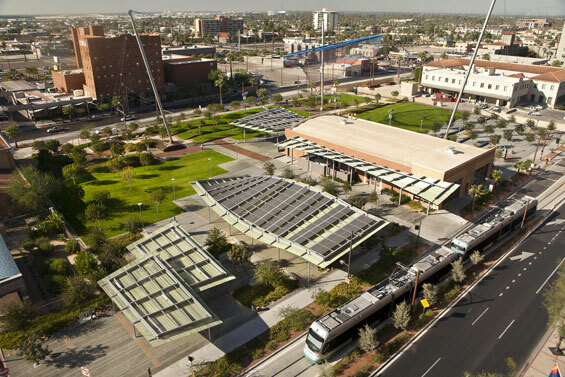 Additionally, facing the park is Downtown Central Station on Phoenix’ METRO Light Rail, providing direct transit linkages between Civic Space Park and the wider city. Students from neighboring Arizona State University (ASU) quickly began enjoying the space as an outdoor room for studying or relaxation. 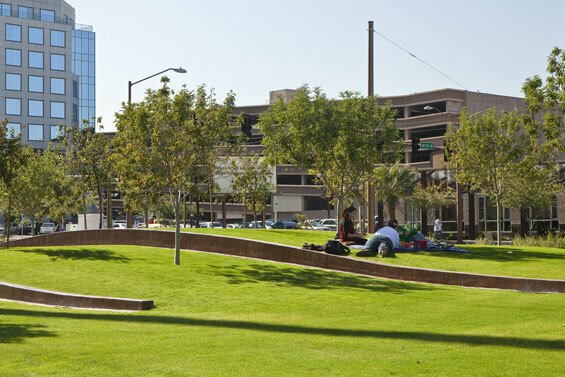 The southwest corner of the park features turf landscape forms with pedestrian-scale retaining walls, games tables, benches, and densely spaced shade trees – all of which are inviting for leisurely uses.